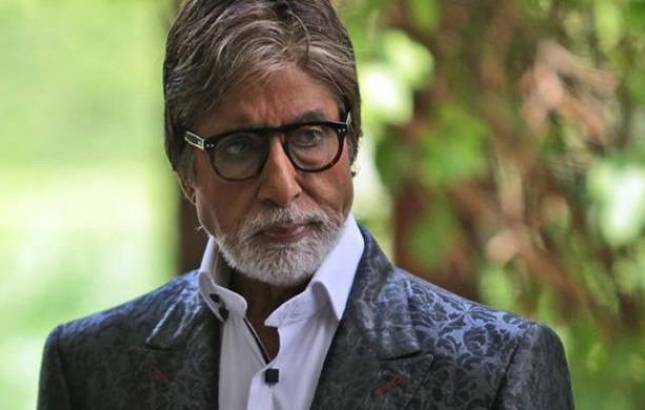 Bollywood megastar Amitabh Bachchan had some strong words to say about the Copyright Law in India. Read on to know why. Bollywood megastar Amitabh Bachchan is known to give his two cents on many matters through his blog. The Deewar actor, in his latest blog, questioned the stipulation of the copyright law in India. The Copyright Act 1957 allows exclusive rights to the heirs of original literary work for a period of sixty years. Senior Bachchan expressed his displeasure over the same and called it rubbish. As a matter of fact, the duration of 60-year period is counted following the death of the author of the original literary, artistic or dramatic work. Unable to fathom the copyright law, Big B wrote, "Inheritors that come as natural heirs be natural right holders of creative copyright... Right... but after 60 years, its natural inheritors, after the passing, the heirs become the public at large... ehh... Who did this intellectual legality. at what context. I believe it initiated in 1957 or so... and (I) am angered by its audacity," he said. The 75-year-old actor opposed the law and said, ‘’ My inheritance be mine. not another’s after the passing of its stipulated time in years .60 . I am genetically my Father’s son .. he be willed to me of all that be in asset of his .. his writings be his .. his heir be me .his writings be mine. MINE! i shall not and will not allow its dilution to general public’’. The 'Shahenshah' of Bollywood concluded the blog by writing that he will fight for the same. "I fight for it," he said after questioning "why was not William Shakespeare made aware of copyright; why not Beethoven or Messrs Chopin and Tchaikovsky, or closer home Rabindranath Tagore? Had they known or made to know, they may never have wished for any other, but their progeny of generations to come... And because no record has been kept of such, there is a loss of opportunity for them that were rightful heirs of them! ", Amitabh wrote. For the uninitiated, Amitabh’s father Harivansh Rai Bachchan was a prominent poet, known for works like Madhushala, Ruke Na Tu and Agneepath. The Padma Bhushan awardee passed away on January 18, 2003. There was a time then .. and then there was a time then .. and between the two ‘then s’ a lifetime ..